What with St. Paddy's Day right around the corner, I decided to combine two of my favorite things: My wee bit of Irish heritage and guacamole. I have had Irish nachos in pubs and restaurants, and I've made them at home many times. 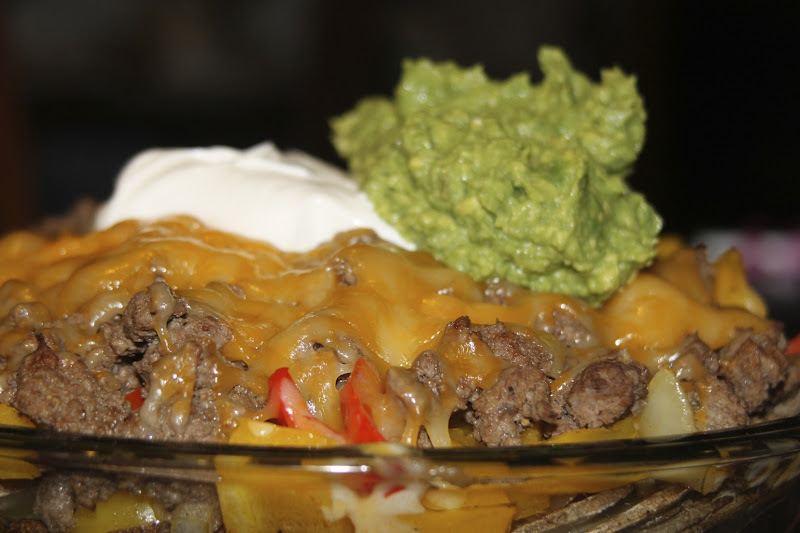 The concept (if you've never been so lucky as to enjoy the experience) is simple... Take all that is amazing about a plate of fully loaded nachos (sour cream, guacamole, cheese, onions, meat) and put it on potatoes instead of tortilla chips. The potatoes aren't as conveniently scoop able and finger-food-ish as the chips are, but on the other hand they are quite a bit more filling and help to justify using this appetizer-y, snack-y food as a meal. Ha! As if I felt a need to justify eating this for dinner! It's damn delicious and much preferable to may other things I've eaten for dinner. That's good enough for me. I have seen many recipes and suggestions for how to build your Irish Nachos. I think the best I have seen is Gaby's at What's Gaby Cooking. I used her recipe, with a few additions (sour cream! 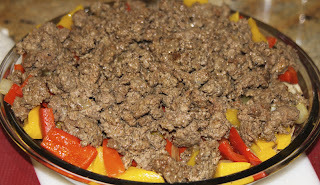 ), and a couple substitutions (beef instead of turkey... I mean, Irish is Irish!). Really, Gaby is adorable and her recipes are delicious, and her photography is amazing. You should check out her original post and everything else she is cooking. But be prepared to find yourself suddenly starving. Preheat the oven to 350. Slice the potatoes and layer them in a pie plate or similar-sized baking dish. Sprinkle them with one teaspoon of the paprika, salt and pepper. Then drizzle it all with olive oil and bake it for 35 minutes. 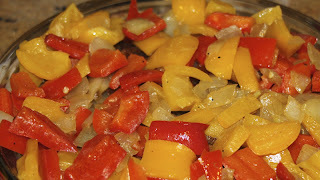 While the potatoes are in the oven, slice the bell peppers and onion. Sauté them in a pan over medium heat for about 10 minutes. You want them to be softened a bit, but still something to bite into. Turn them out onto a plate and then brown the beef in the same pan, with the remaining teaspoon of paprika and some more salt and pepper. When the potatoes are done, layer them with the vegetables. Spread the cheese over all of this, and pop it back in the oven for a few minutes, until the cheese melts. Top it with salsa, sour cream, and guacamole. And enjoy the best thing that ever came out of the old world's invasion discovery of the new world. So good, in fact, my husband said "Would you stop taking pictures of that and please let me eat it? I can't wait any longer!" So, I never got the shot I was looking for, but my belly never complained. 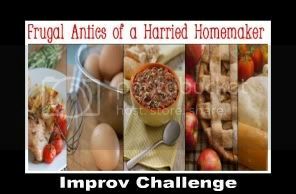 This post is linked to the Improv Challenge hosted by Kristen at Frugal Antics of Harried Homemaker. 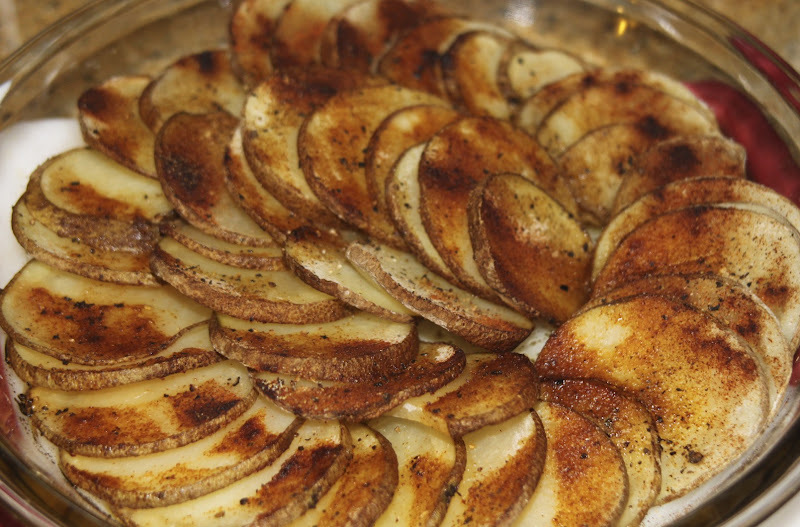 Check out what everyone else did with potatoes and cheese! 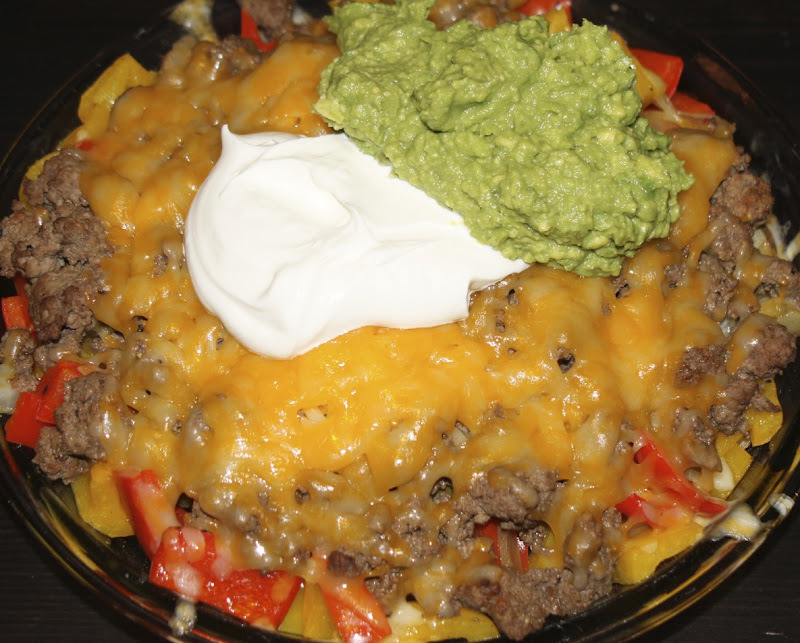 I love that two people thus far have done Irish nachos, I need to give these a bash. I must live under a rock but I had never heard of Irish nachos before (and I love both potatoes and nachos.) Just in time for St. Patty's Day! Oh my goodness, what a great idea! 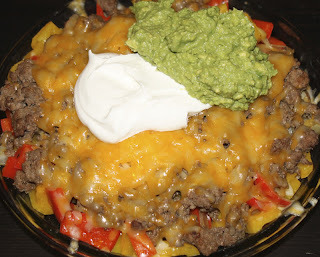 I love, love, LOVE nachos, so I'm going to have to give these a try. Thanks so much for sharing this recipe! 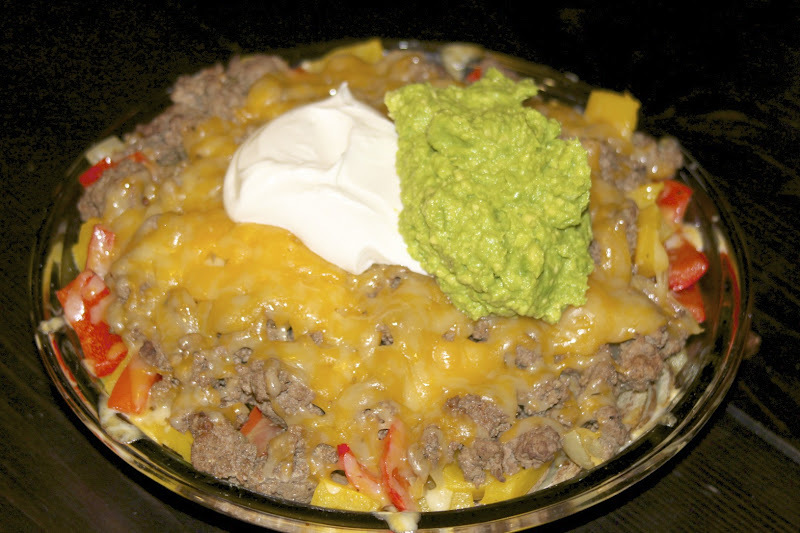 I have never had Irish nachos before, nachos with potatoes sound really good and this looks great! I love this. I am a total nacho fiend.